Do you have an anniversary or a special occasion coming up? 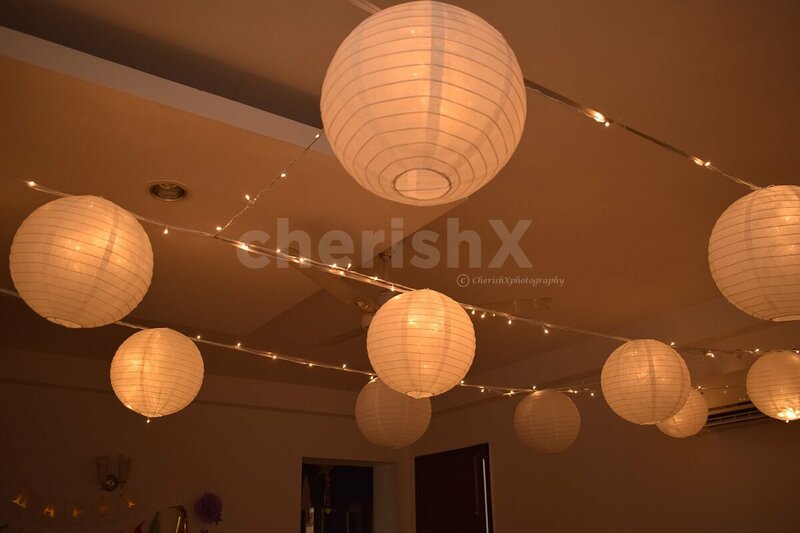 Surprise your partner to the fullest when they walk into a room full of beautiful paper lanterns (with your choice of colour), You can have this incredible setup at home and surprise your partner on your special occasion. 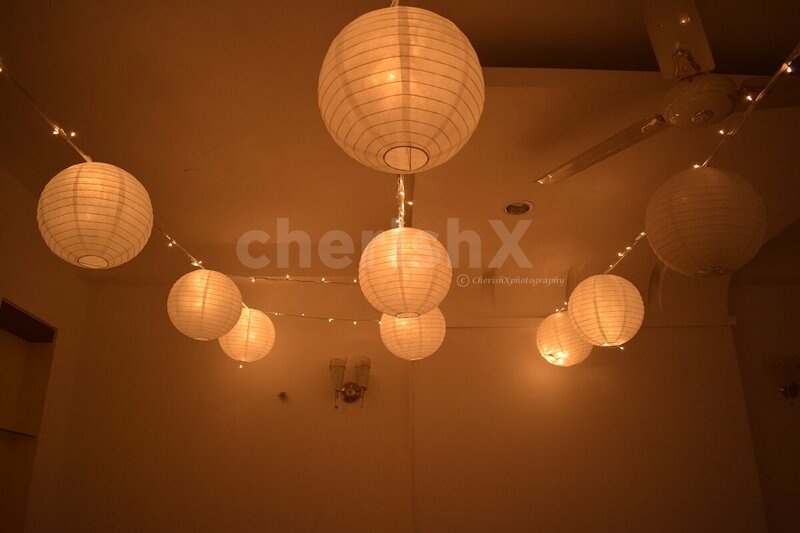 A cherishX executive will turn your bedroom into romantic movie set in your chosen 2 hour slot. 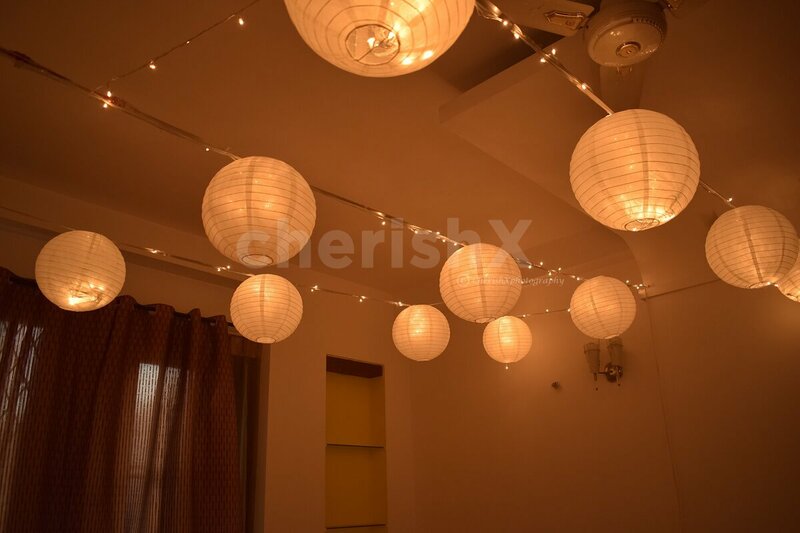 This super romantic set-up is perfect to rekindle love without the hassles of planning or stepping out of the house. 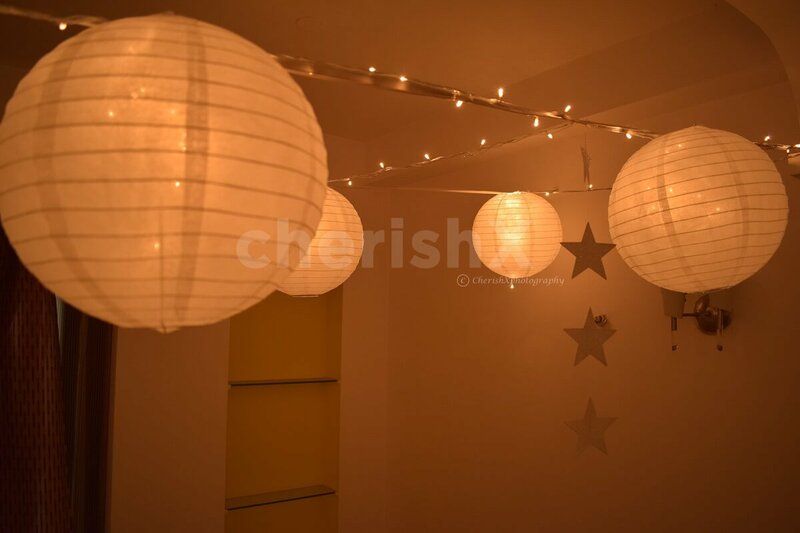 Your decoration will have 8 paper lanterns hanging from the ceiling along with 4 fairy lights. You can choose from a colour theme of white, white and red, white and yellow or multicolored.